There is a large national chain of gyms that gives away pizza, donuts and bagels. A strange one for sure! 'Come work out here so you can keep eating junk'! The truth is that you cannot out-exercise a poor diet. What is the ultimate goal of working out? Regardless of whether you are simply concerned about looks (unlikely) or if your goal is to become healthier (hopefully!) going to the gym is NOT going to make up for poor eating habits. It is no secret that obesity rates are extremely high. It is also a well-known fact that most people are not active enough. Exercise is important for a multitude of reasons, but without proper nutrition, exercise is of limited use as a weapon against obesity and research confirms this. An article in the International Journal of Epidemiology details the trends of obesity and the link to exercise and food consumption. The conclusions are based off of decades of data and can be summarized as follows: Exercising regularly (3 times per week/1 hour) will NOT lead to weight loss or prevent weight gain for the majority of the population. So, if you have been going to the gym for a while and are not seeing the changes you would like it is not just you. I have personally experienced this. 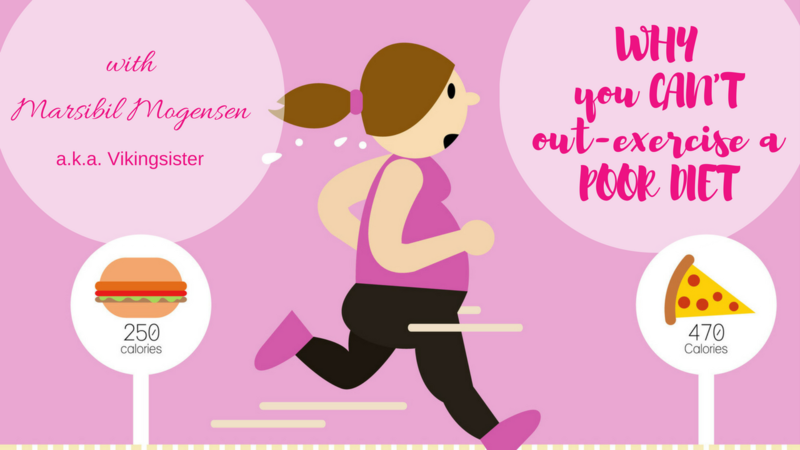 When I decided to take my body back after a decade of being a couch potato, it was a frustrating to say the least. Working out 4-5 days per week was not resulting in the changes I was after. I was stronger for sure. Fitter? Absolutely! But the scale was not shifting and my clothes were still tight. So what WILL help YOU and what will help US as a society to combat the obesity epidemic? The worst culprits are refined sugar and processed foods. The average American consumes about 3.3 times the sugar they should on a daily basis. The more sugar you eat the more sugar you crave. Sugar is hidden in almost every processed food product, including bread, juice, sauces, cereals and condiments. Sugar substitutes that are found in low and zero calorie food products are even worse than actual sugar. Evidence is mounting that consuming as little as one product per day that is sweetened with artificial sweeteners puts you at a higher risk of serious health conditions such as diabetes, cardiovascular disease and metabolic disorders as well as WEIGHT GAIN. Exercise IS important. However, it will NOT give you the results you are after, whether in terms of looks or health, if you do not implement a healthy eating regimen. My advice is to START. Don’t try to change every bad habit in one swoop as this only leads to frustration and overwhelm and the goal here is to change habits long term. 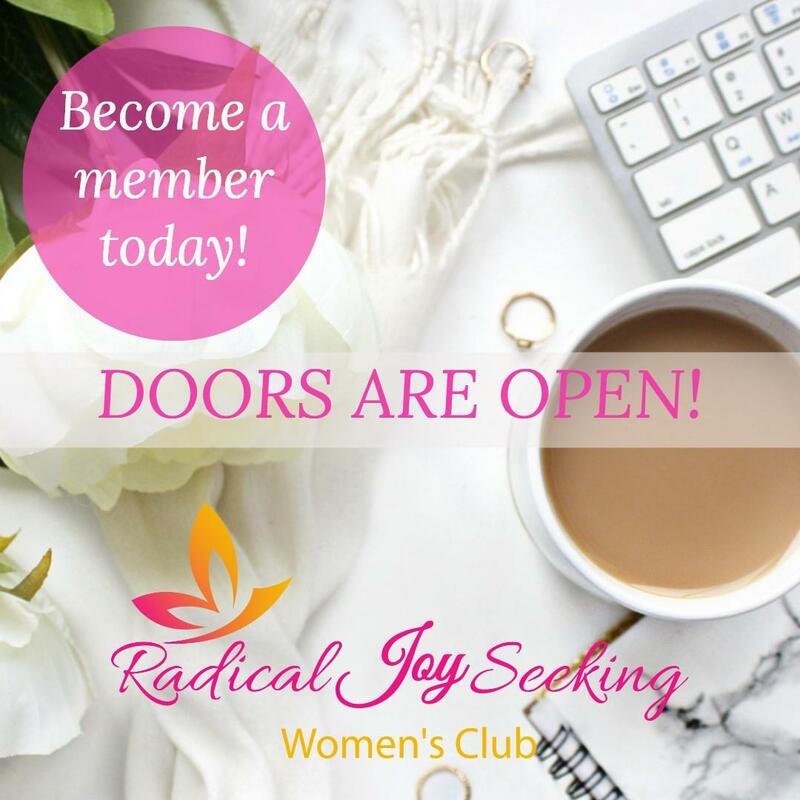 If you are looking for a way to begin, take advantage of this month’s 60% offer inside the Radical Joy Seeking Women’s Club! Failing to Plan is a product that will educate you on how to eat and what to eat. It includes meal and snack suggestions as well as a shopping list. 1. And, Amy Luke*. "Amy Luke." Physical Activity Does Not Influence Obesity Risk: Time to Clarify the Public Health Message. Oxford Journals, 16 July 2013. Web. 28 Sept. 2016. 3. Scutti, Susan. "4 Dangerous Effects Of Artificial Sweeteners On Your Health." Medical Daily. N.p., 10 July 2013. Web. 30 Sept. 2016.